Description: The Parkinson Social Network was inspired by the Memory Café concept – a social gathering in a safe and supportive environment for people living with memory loss as well as their friends and family. There are several Parkinson Social Network meetings throughout Northern Virginia that provide relaxed and supportive environments for people living with Parkinsons, as well as other related movement disorders such as Lewy Body Dementia, together with their friends and family. At the meeting, you’ll have the opportunity to relax and chat with old friends, and meet new ones. Enjoy a cup of coffee and delicious food – you’re welcome to bring some munchies to share! 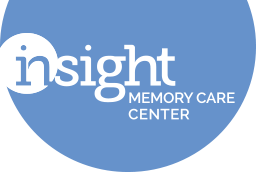 The Parkinson Social Network Fairfax meets monthly at Insight on the third Wednesday of the month. There is a different theme each month, largely touching on topics that affect our lives in ways other than as a patient or caregiver.